Clip the G3 Onyx Ski Crampon onto your Onyx alpine touring bindings when the skin track turns into a wind-blown icy slope of death near the ridge. A revolutionary concept in alpine touring ski crampons, the Fritschi Diamir Axion 86 Crampons deploy with the flick of a ski pole and deactivate with the push of a pole tip. Whether you plan a long climb or to do some lift-served skiing, the Marker F10 performs with the utmost versatility, and delivers all the power you need. The Salomon Guardian Alpine Touring Binding combines proven downhill performance with a convenient hike and ride technology to get you up the hill faster. The lightweight Fritschi Diamir Eagle combines a gliding, natural stride with the downhill performance and safety features of a high-end alpine binding. With superior power and transmission for the downhill run, the Diamir Fritschi Freeride Pro Alpine Touring Bindings are set to conquer any mountain. The new Marker Duke AT Binding features the Extended Frame Chassis, 28% wider than the original, for the big mountain free-skier who wants easy climbing and performance coming down. The venerable Dynafit Speed Binding gets a radical upgrade and is the perfect choice for ski touring with an emphasis on speed. The Dynafit TLT Radical ST offers the genius of a frameless design to fit riders with all manner of boot sizes and ski choices. The new Dynafit TLT Radical FT Binding is the perfect solution for ski mountaineers and freeriders who love the descents. Whether you plan a long climb or to do some lift-served skiing, the Marker F12 performs with the utmost versatility, and delivers all the power you need. 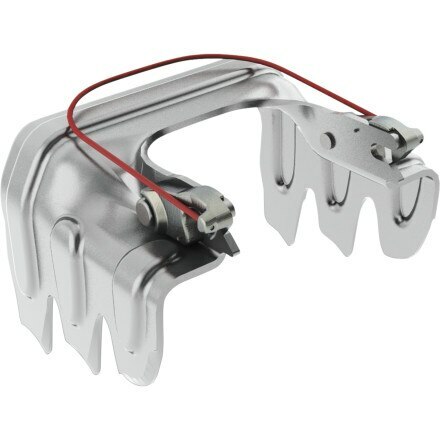 More convenient than ski straps, the Fritschi Diamir Brakes prevent runaway skis.